Review the script and start making calls. 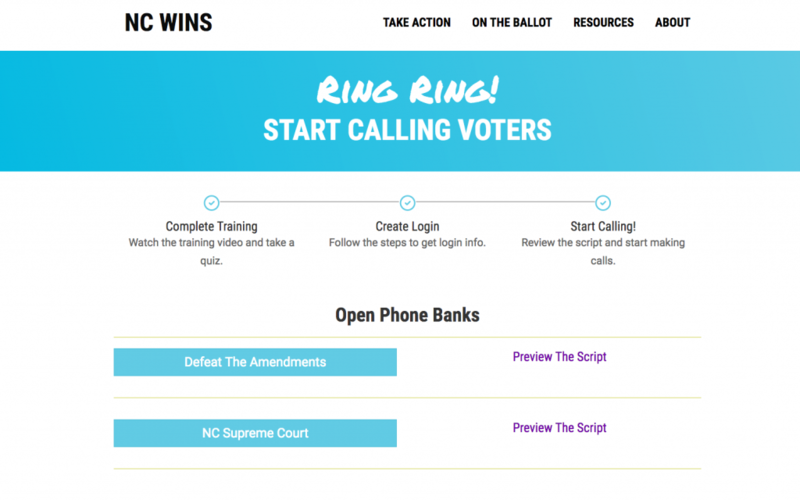 Thank you for making phone calls to voters in North Carolina! It is important that we talk with as many voters as possible about the Supreme Court race and the constitutional amendments that will be on all ballots this year. 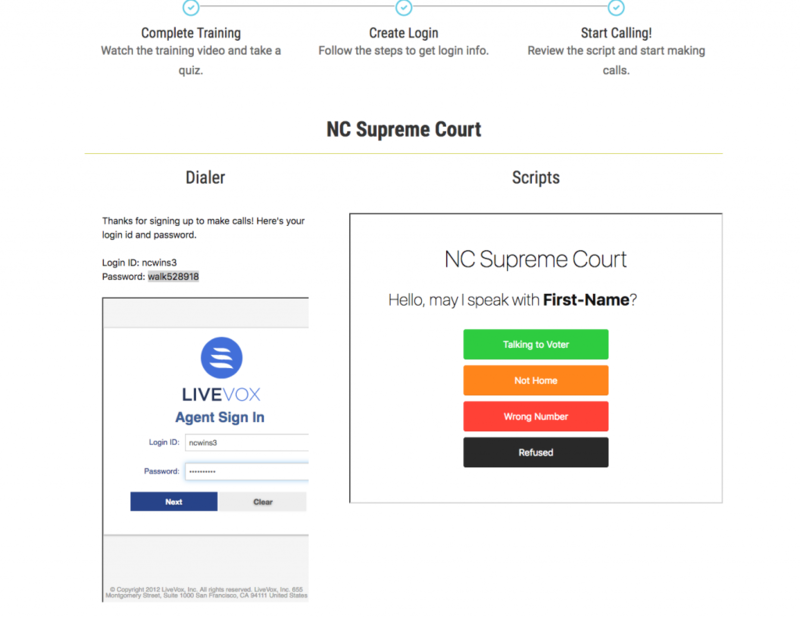 You will need both a phone and a computer or tablet to make calls using this system. Your Phone number will NOT be visible to the people you are calling. After you read these directions, take the quiz on the right and press submit. You must answer all questions correctly to proceed. You only have to do this step the first time you log in. Proceed to the dialer login. Once you complete the quiz correctly once you can go directly to the phone bank using the “Proceed to Login” button at the bottom of the page. 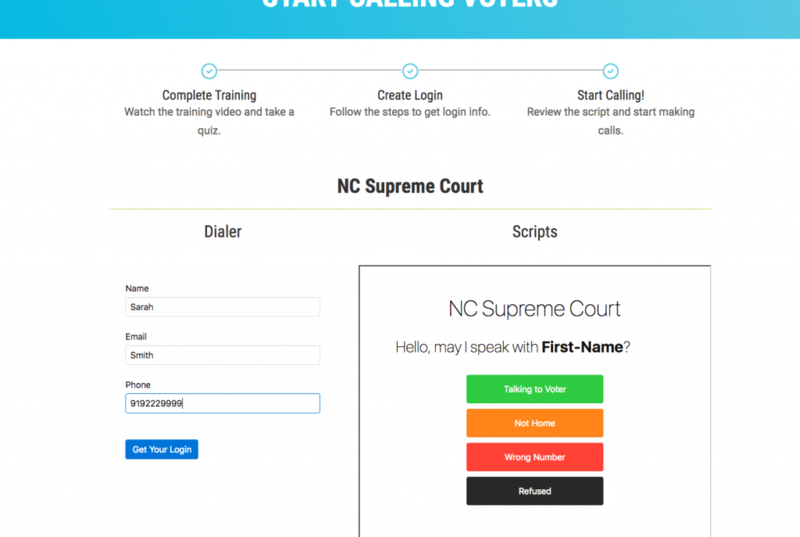 You’ll also receive an email after your first calling session with a direct link to log into the phone bank. Confirm that you are not employed by any candidate or party. 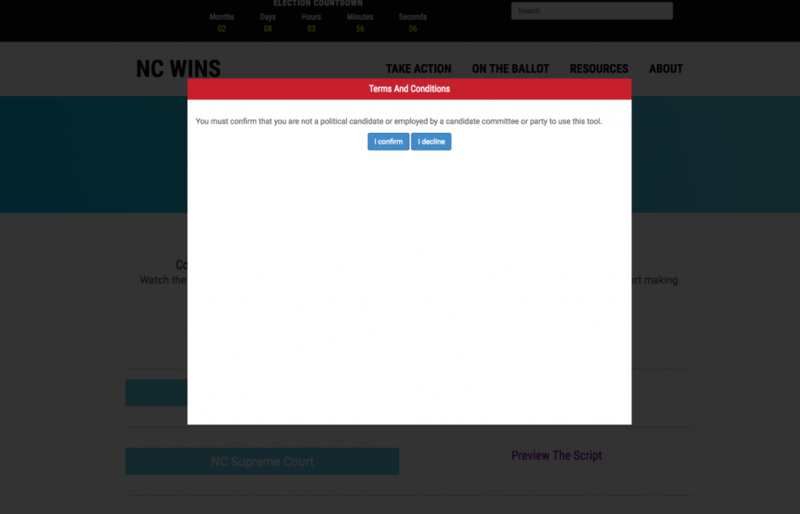 If you are a candidate or employed by a candidate or party you may not use this tool. Choose which phone bank you want to join. You can learn more about the different phone banks in the FAQ doc that will be sent to your email after you complete the quiz. You can also preview the scripts on this screen. 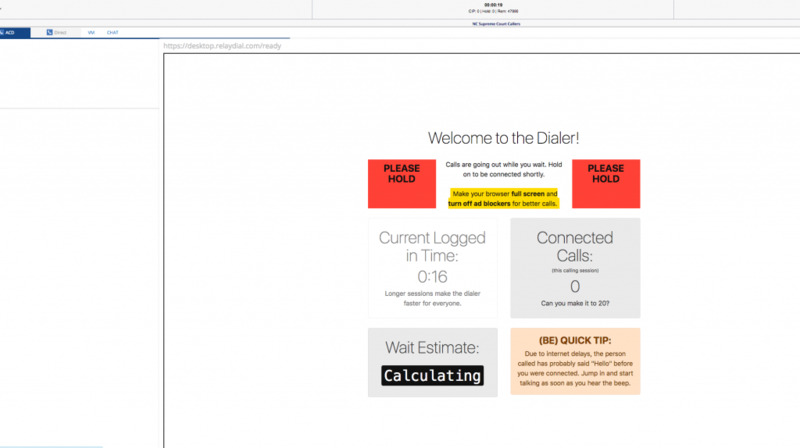 Log in to the Relay Dialer. Each time you log in to make calls you’ll need to enter your name and phone number to claim a username. 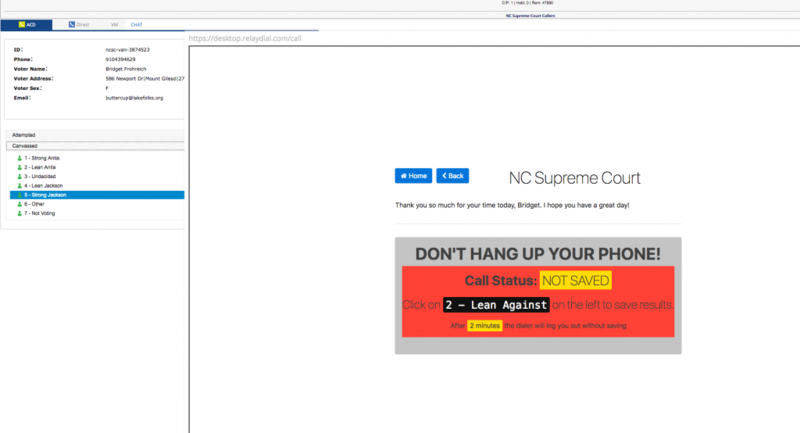 This is so we can track who is making calls. The calls you make will come from a different number, so don’t worry – folks won’t be calling you back on your personal phone. 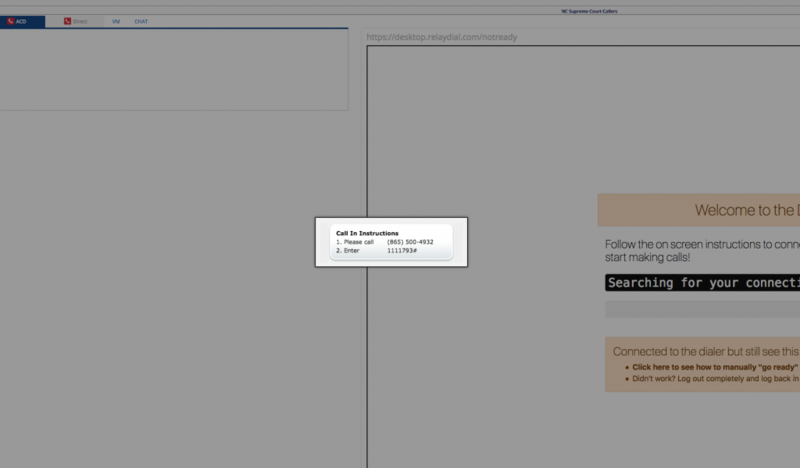 Click “Get your login” and it will take you to the next page. Copy and paste the provided username and password into the appropriate spaces. Select the type of calls you want to make. 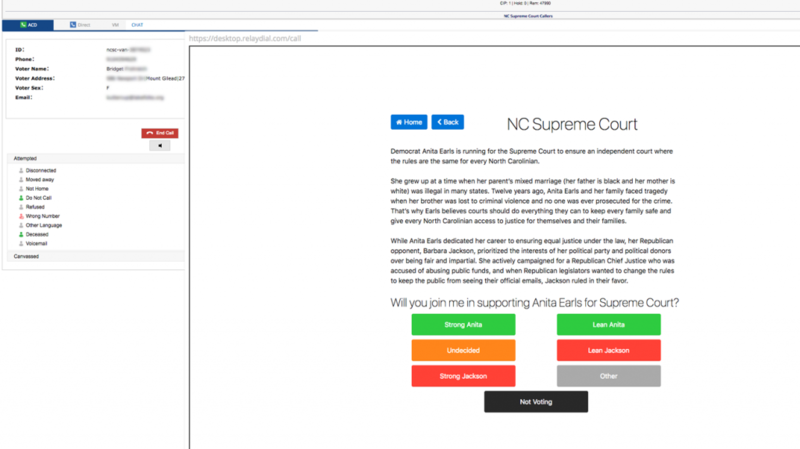 You can choose to talk to voters about Anita Earls for the Supreme Court (“NC Supreme Court”) or talk with voters about the constitutional amendments (“Defeat the Amendments”). Call the number on your screen with a cell phone or landline and then enter the pin. After calling in, wait until you are connected to a call. This can take up to 3 minutes. Note: Stay patient! You are actually making hundreds of calls an hour. We are just waiting for someone to pick up. Note: When you hear the “beep”, start talking! Due to normal delays, they have probably already said hello once. Follow the prompts based on your conversation. The script will change depending on their answers. Mark the appropriate level of support for the candidate or issue. Follow all the prompts until call completion. 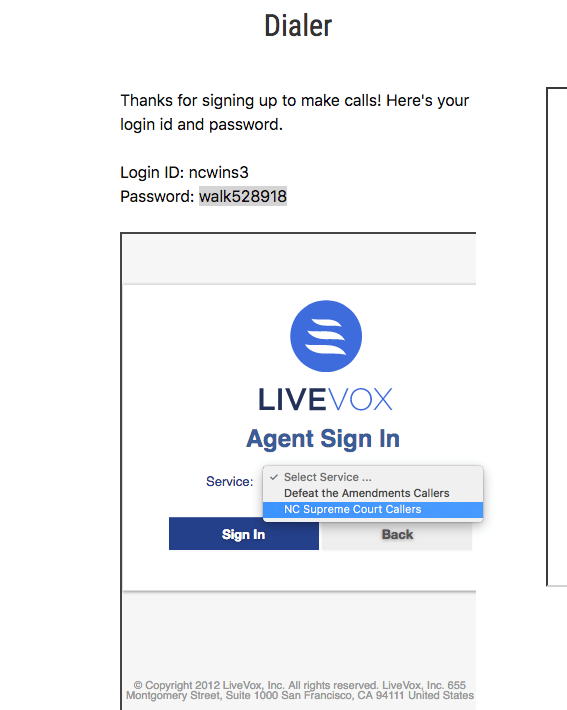 When the call is over, make sure to record your data on the left sidebar. 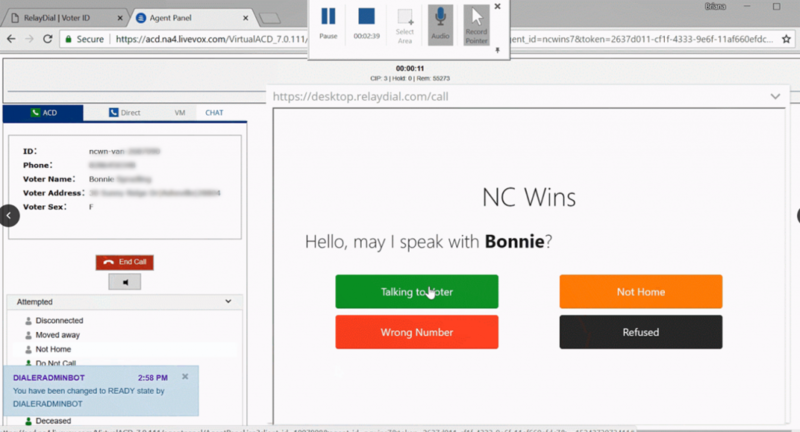 Note: You do not need to click the red “End Call” button to end the call. Just record your results and the call will end automatically when the person hangs up or you move on to the next step. After making your selection, select “Ready” to be placed in the queue for the next call! If you want to take a break, select “Not Ready”. When you are ready to make calls again, select “Ready” to be put into the que. When you are finished making calls, select “Not Ready” and close your window. Your phone will disconnect from the dialer automatically. Entering my Username and password from last time. Claiming a new Username and password. Yelling loudly at my computer until it does what I want. Hang up my phone and go have lunch. 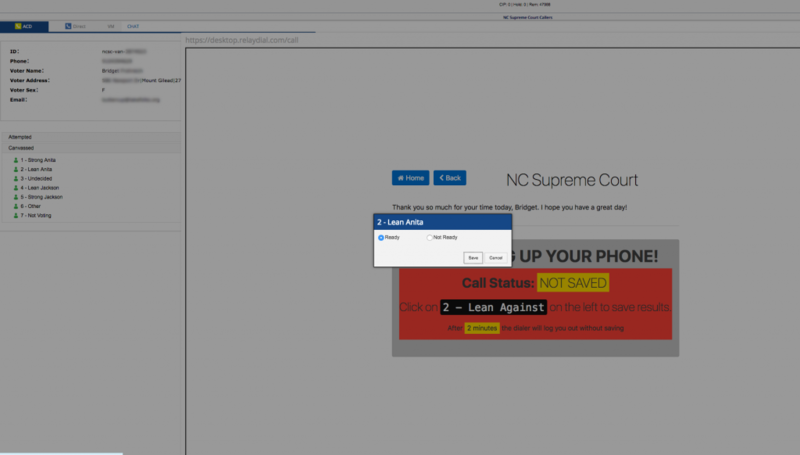 Record the results under the “Attempted” or “Canvassed” tabs on the left side of my screen, then click the “End Call” button.